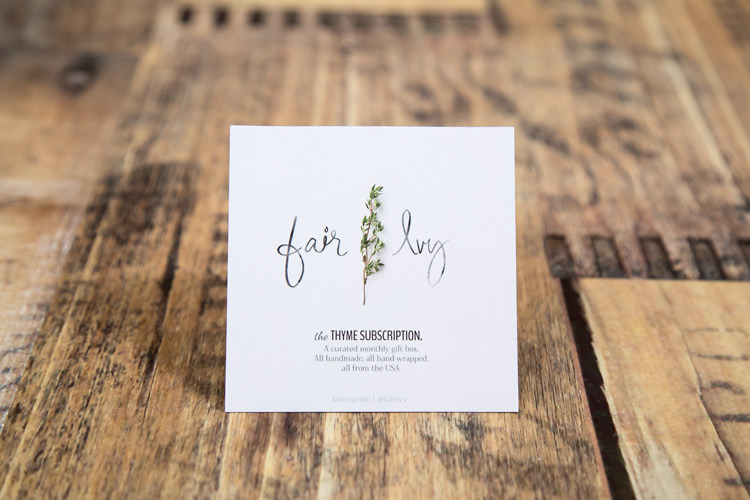 With the New Year upon us, the first item in our Thyme subscription has arrived. 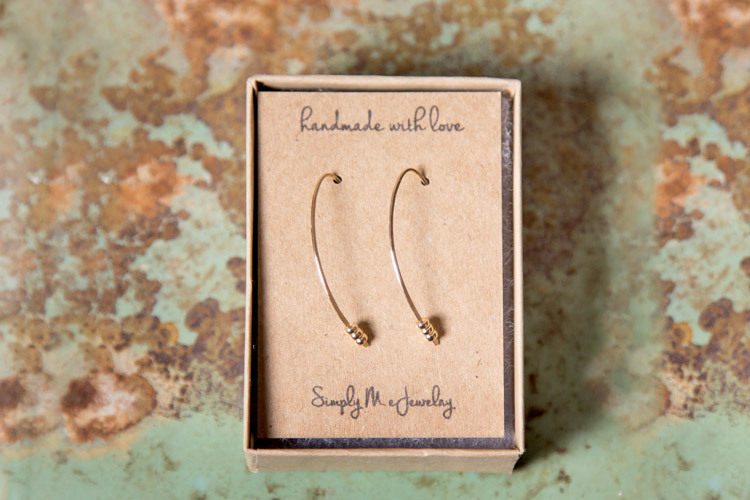 A pair of simple, beautiful made hook earrings was delivered to our subscribers by Melissa at Simply Me Jewelry. 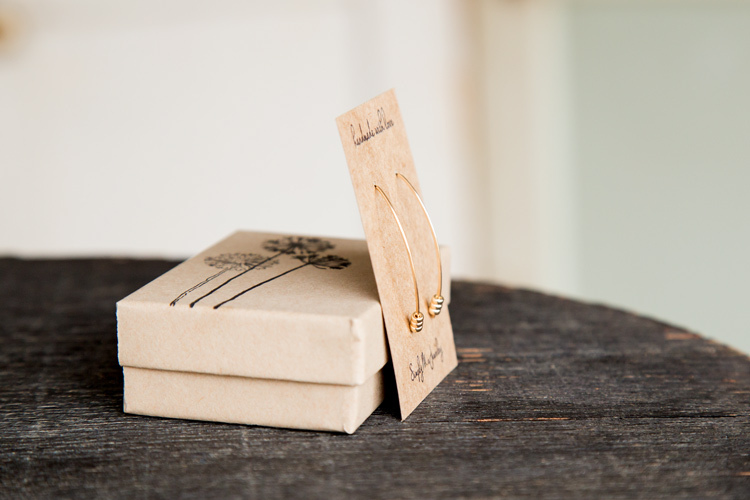 These minimalist earrings are sleek and elegant, adding just the right amount of detail and shine to any outfit. 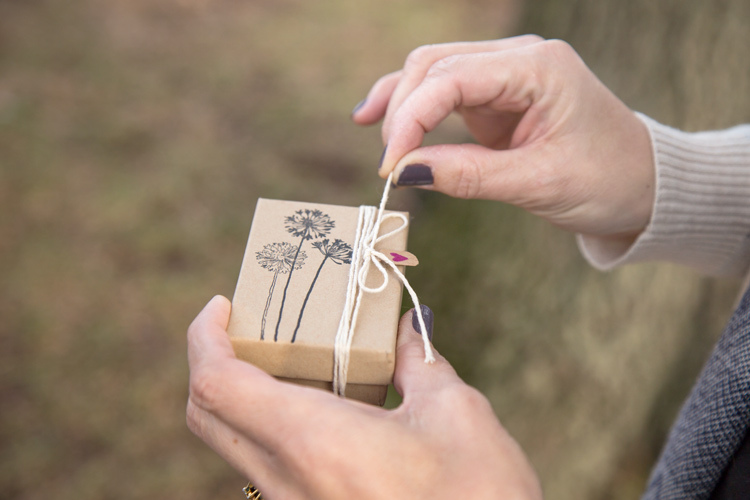 As always, the packaging deserves almost as much attention as the hook earrings and shows how much thought and care goes into every package that Fair Ivy subscribers receive. 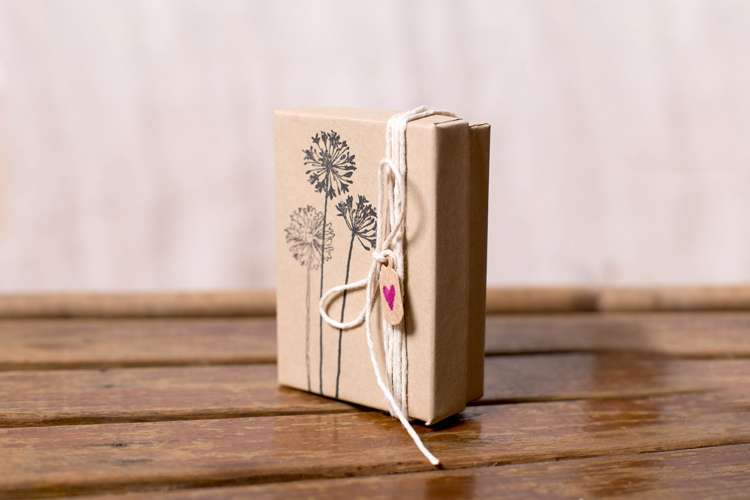 Let’s take a look at the package that has been sent to our Thyme subscribers and the lovely wrapping it arrived in. 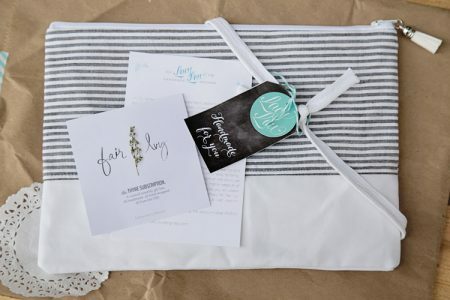 Every package arrives with a welcome card from the artist and from Fair Ivy as well. Be sure to read the artist card to find out more about them, the items they make and sell and where to find more of their handmade goodies. 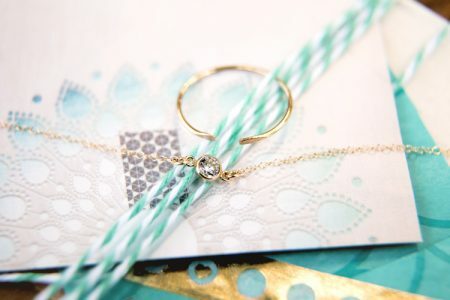 We love the attention to detail that Melissa has put into this month’s gift subscription. 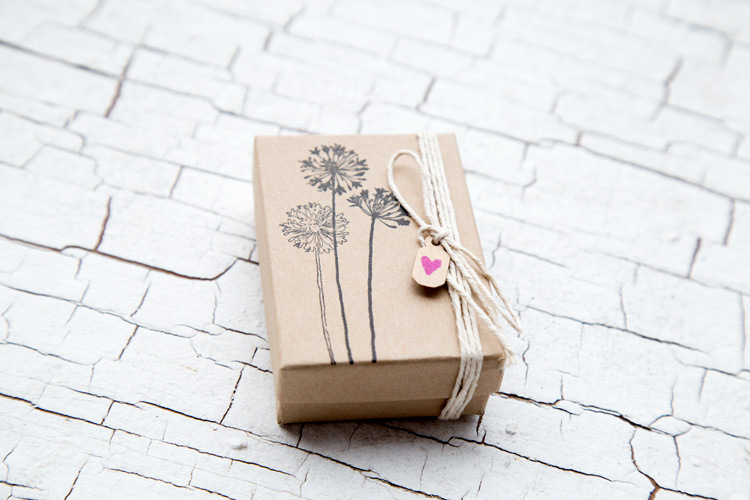 From the stamped boxes to the the tiny tag, all the little things come together in such a great way. And now, let’s take a closer look at what is inside. 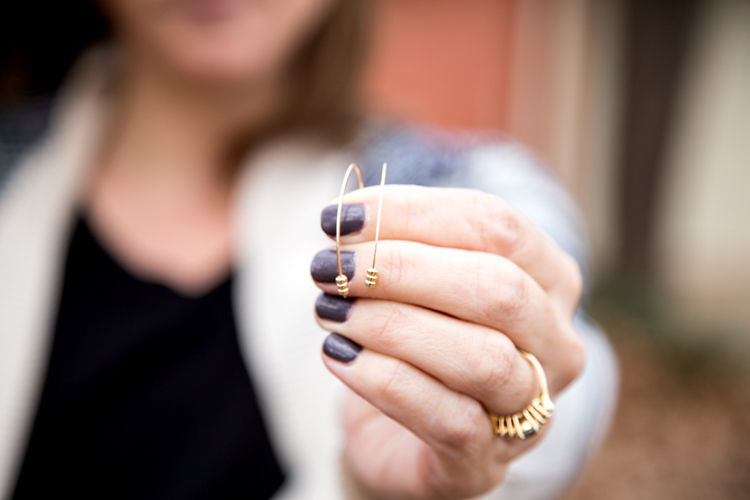 It’s easy to see why we are excited about these hook earrings and we hope our subscribers love them too. 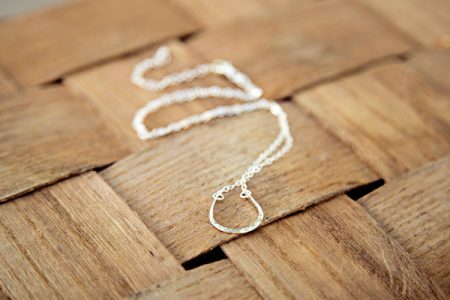 Melissa, the owner and designer of Simply Me Jewelry, lives Utah and is a self taught artist. 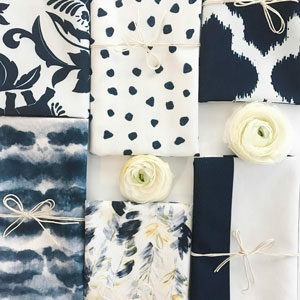 She started her business in October of 2011, after a few years of making jewelry as a hobby and her items can be found at her shop Simply Me Jewelry. 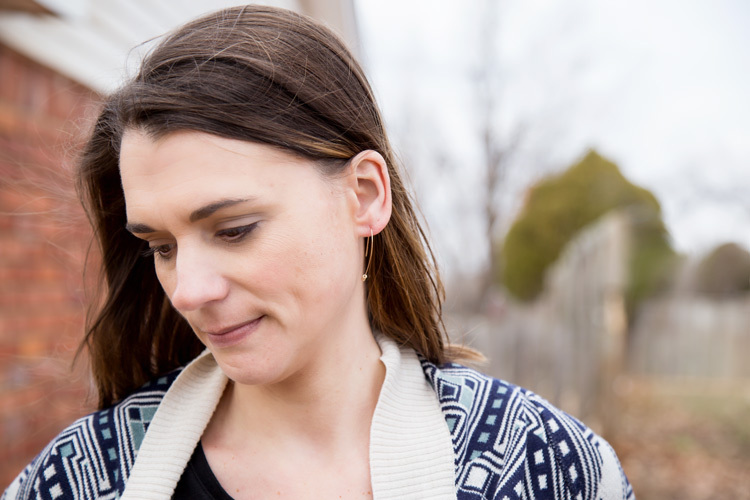 Melissa’s goal is to make items that have a beautiful simplicity and can be worn everyday. 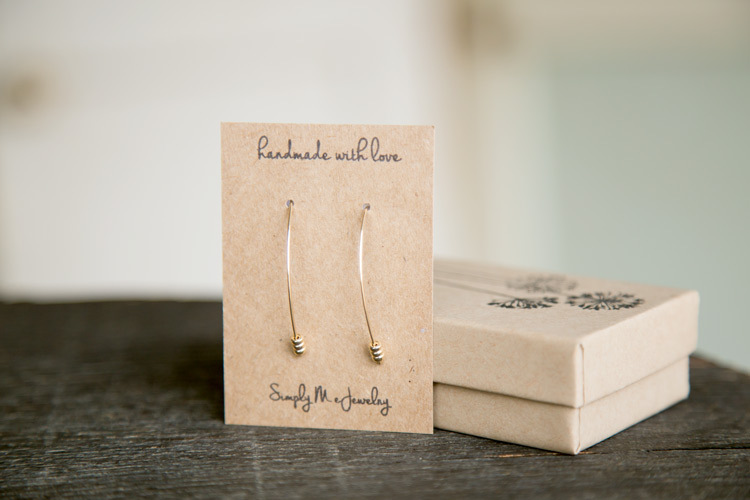 Here at Fair Ivy, we think Melissa has hit her goal with these hook earrings and it is easy to see the care she puts into creating her items.